The Lone Cypress is probably the most photographed tree in the world. It is about 250 years old and can be found near Carmel, CA on the famous 17-mile drive. When we got there three weeks ago in early afternoon, the lighting was harsh and unforgiving. I tried my best and got the following two versions. Let me know which one you prefer by clicking on the poll at the bottom of this page. Photo 1: Lone Cypress on 17-Mile-Drive near Carmel, CA. Photo 2. 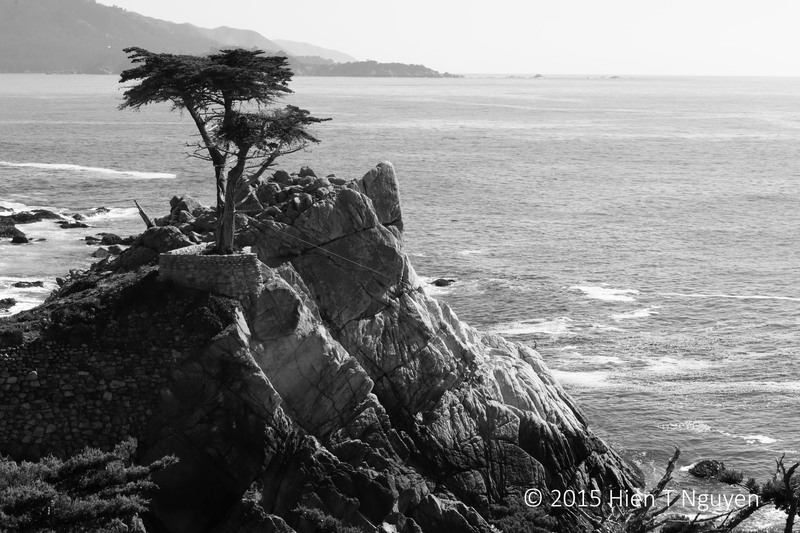 Lone Cypress in monochrome. If you look carefully in either photo, you can see part of a pelican toward the lower right-hand side. It was standing on the granite rocks. Thank you my friend for sharing with us your beautiful photos and the story of the old,enduring Lone Cypress!I voted for the 1st photo because it shows it still alive. The mono one is a beautiful classic photo too! Doda, you are in the majority: 15 for color 9 for monochrome. As always, thank you for visiting this blog and commenting. Thank you Amy! It’s 12 to 6 now in favor of the color version. Both images are beautiful, but the color contrast is so gorgeous…a win! The color version is now winning 11 to 5. Thanks for visiting and commenting, Tiny. Lovely shots – of a favorite spot of mine. Thank you, Sue! As of now most people like the color version (4) rather than the black and white one (2). I remember that spot. Great photo, I love the colored version. 17 mile drive, wow!! Thanks Amy. Years ago, when I was a student I did not have a car and had to walk all the way along the coast from Monterey to Carmel. 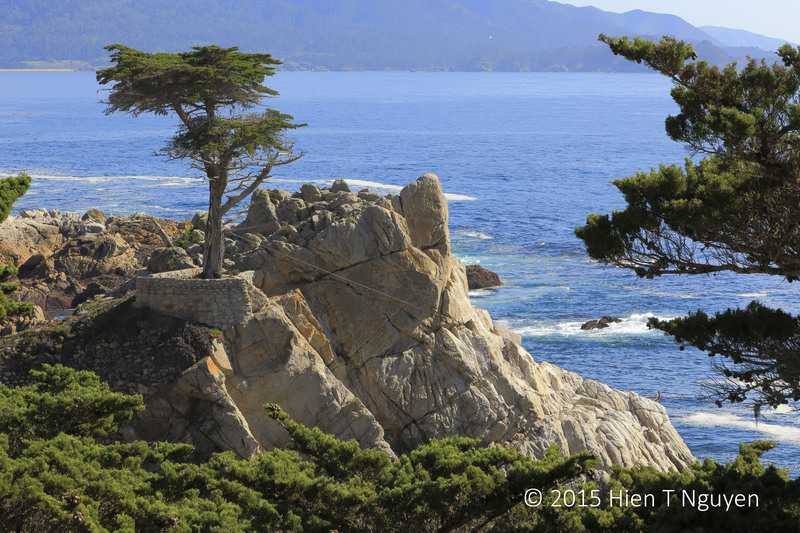 The Lone Cypress Point was the only place that had any shade and I have never forgotten it. I love that spot and have taken that shot in excellent light. I have a perception (I don’t know if it is right or not) that images taken in harsh light look better as black and white. Tom, you are right about rendering in black and white. It accentuates the contrast of the image and downplays the intermediate colors which could look washed out. Thanks for stopping by and commenting.